[+] Polyhedron unfolding: Vertex unfolding, facet paths, generally unfolding orthogonal polyhedra, grid unfolding, refinement, Manhattan towers, orthostacks, orthotubes, orthotrees. 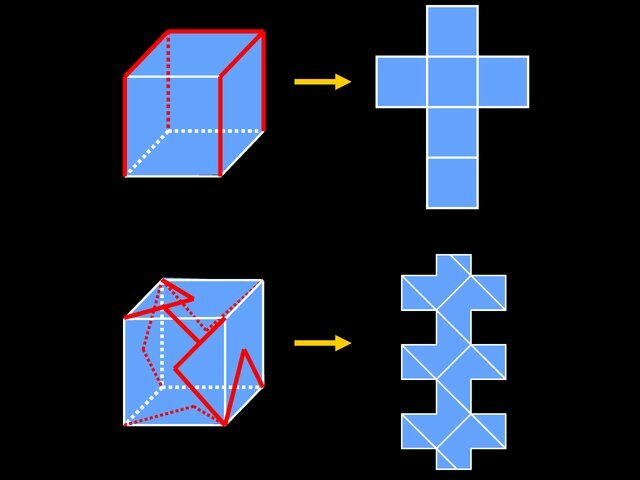 Polyhedron folding: Cauchy's Rigidity Theorem, Alexandrov's uniqueness of folding. 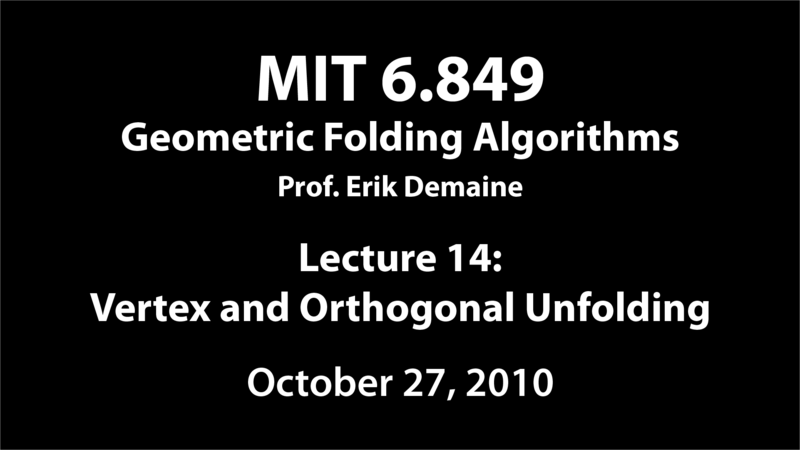 This lecture continues the theme of unfolding polyhedra, and kicks off our coverage of folding polygons into polyhedra. 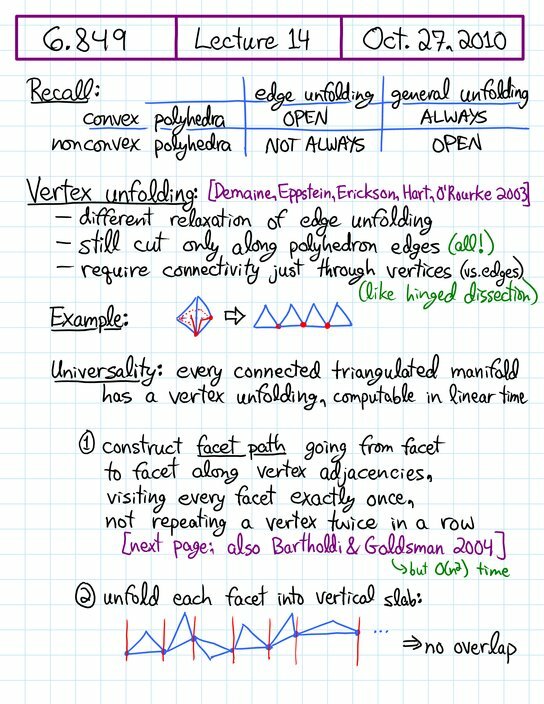 On the unfolding side, we'll cover “vertex unfolding”, which is a variation on edge unfolding kind of like hinged dissections. We'll prove that this type of unfolding exists, even for nonconvex polyhedra, provided every face is a triangle. Then we'll cover recent breakthroughs in general unfolding, for orthogonal polyhedra.